Hundreds of Polar Bears gather around Churchill, Manitoba in late October and November, waiting for the Hudson Bay to freeze over. 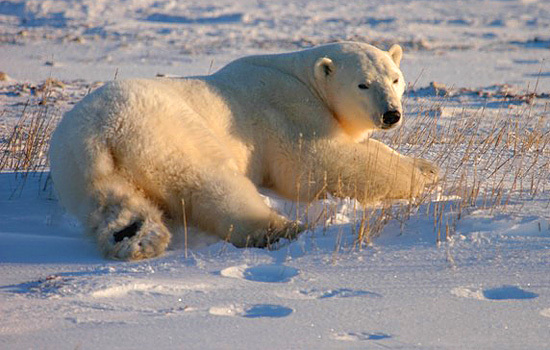 For a few weeks, it’s possible to safely and comfortably observe the majestic Polar Bears in their natural habitat. Staying both in the town of Churchill and the Tundra Buggy Lodge, you will experience the best of both worlds. This tour gives you plenty of polar bear viewing time, as well as the chance to explore other activities around this sub-arctic town. This is a popular trip – book early! Your trip begins in Winnipeg, central Canada's largest city. After checking in to your hotel for a one-night stay, spend the day exploring on your own. Consider visiting the Manitoba Museum, the Forks Market or strolling down to Provencher Bridge, a pedestrian walkway over the Red River where you’ll find a fun diner and great views of the city. 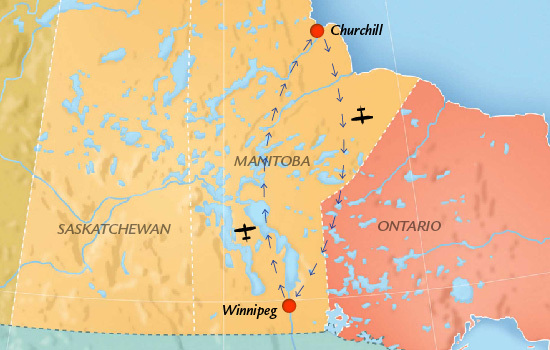 Enjoy a scenic flight from Winnipeg to Churchill, over the tundra and plains of the North, roughly a three-hour trip. Upon arrival enjoy a guided tour of the town, featuring the Itsanitaq Museum – a memorable and informative introduction to the unique culture of the north. This evening, visit the Parks Canada Interpretive Center where you’ll learn more about the history, wildlife and culture of Churchill. Enjoy a relaxing evening at your Churchill hotel. Today you will enjoy some free time in the town of Churchill before learning how to mush your team of huskies on an exciting dog sled adventure. This afternoon you depart from the Buggy Launch and begin your trip to the Tundra Buggy Lodge. The journey to the lodge is just as exciting as the destination. Spend the time taking beautiful photographs, learning about the bear, other arctic wildlife and the environment. Arrive at the Tundra Buggy Lodge for your three night stay. This unique and casual lodge on wheels is both a comfortable place to rest and an excellent base for viewing wildlife. 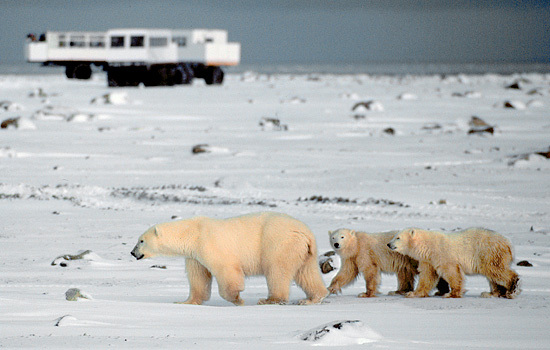 No other lodge-based trip provides as much time for viewing the polar bears. Use the Lodge as a base for your wildlife observation and take advantage of the Tundra Buggy for full day wildlife watching excursions. Your guide provides expert commentary as you travel to locations known as bear hot spots. 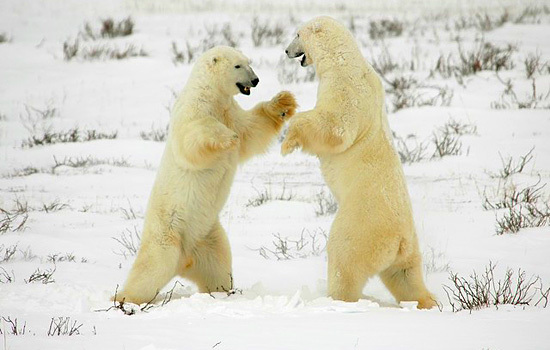 Spend your evenings enjoying home cooked meals, learning more about the polar bears and socializing with new friends. Keep an eye on the dark arctic sky, Northern Lights may light up the tundra at anytime. After a delicious breakfast, you will depart the Tundra Buggy Lodge for your final bear viewing expedition. 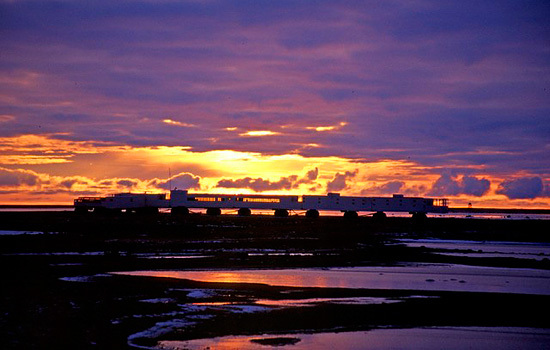 When you arrive back in Churchill, you will be transferred to the airport for your flight back to Winnipeg. Overnight at a Winnipeg airport hotel. Much too soon you leave the fresh air and beautiful sights of Canada behind as your vacation comes to an end.